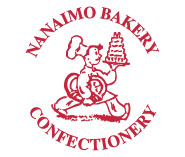 Welcome to Nanaimo Bakery & Confectionary, proudly serving the best in baked goods. Our family has been in charge of owning and operating our locally-owned business for over 20 years. We take great pride in creating our products from scratch using only the finest ingredients available. Our selection consists of a great variety of ethnic pastries, cakes, chocolates, cookies, donuts and European style breads. We also have a full-service café. Nanaimo Bakery & Confectionary isn’t just a great place with great pastries, it’s also a place to gather, talk and enjoy being in the company of others. Stop by and visit us today! At this Nanaimo place, where people with good taste gather, you are able to purchase against monetary value, first class baking goods of excellent quality and taste.